Welocome to the evolution of smooth.™ To keep your lips looking and feeling healthy, we created this 95% organic,100% natural lip balm that's petrolatum and paraben free, just like you. Totally true to what they said! My lips are sooooo moisturized and soft that I can't stop applying this. It has some glossy look to it though, so don't apply too much or you'll look like you ate char kuay teow and didn't wipe your mouth. But its really awesome as my lips had a significant reduction of fine lines and dry skin. The softness is really lasting too! I used to have cracked/ torn lips but its already a matter of the past. 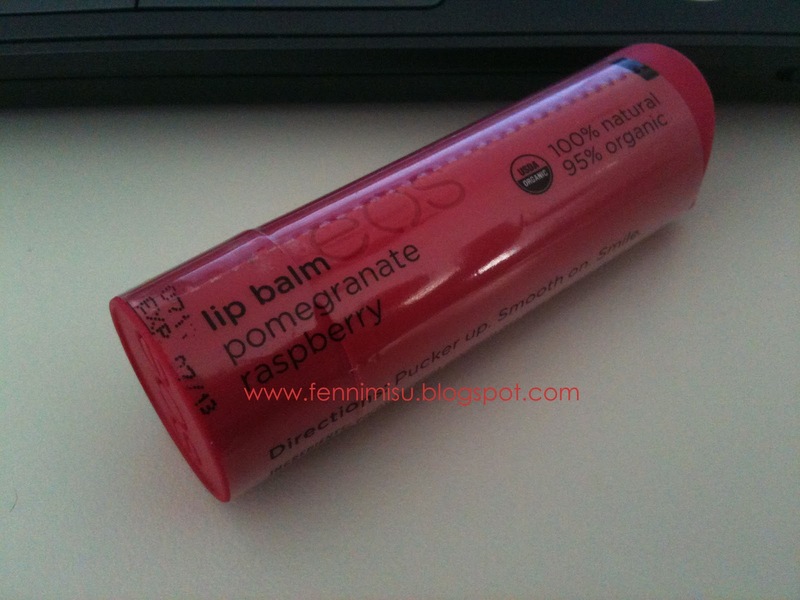 It's officially my holy grail lipbalm!!! I only apply it when I go to sleep and in the morning though. Oh ya, it smells awesome! Tastes like other balms - probably oil and wax and a sweet taste? Hoho. It has a matt albeit rubbery casing and is verrrrry easily scratched. Very unique kinda casing still, for a lippy. you know it's only $2.94 ish at walmart and shipping is like... a dollar.